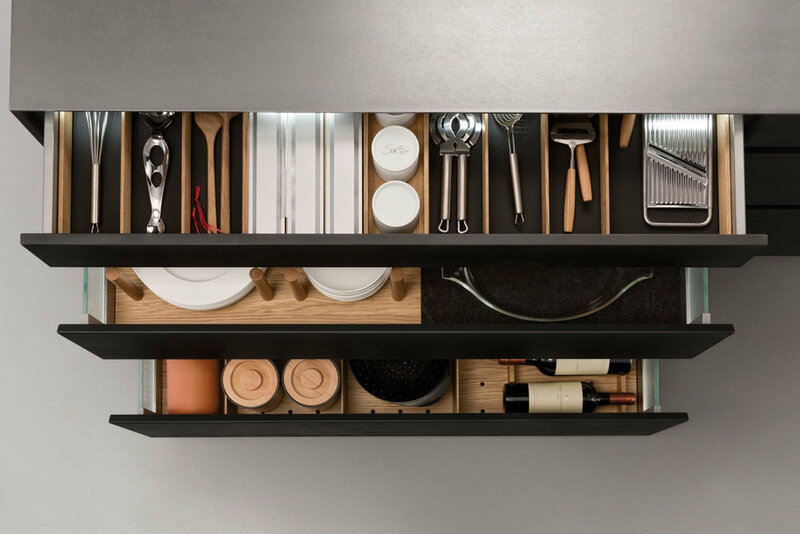 Both attractive and practical: drawers and pullouts can look forward to LEICHT's Q-BOX/Q-BOX vario - a organisation system which has just been named winner of the internationally acclaimed "iF product design award". 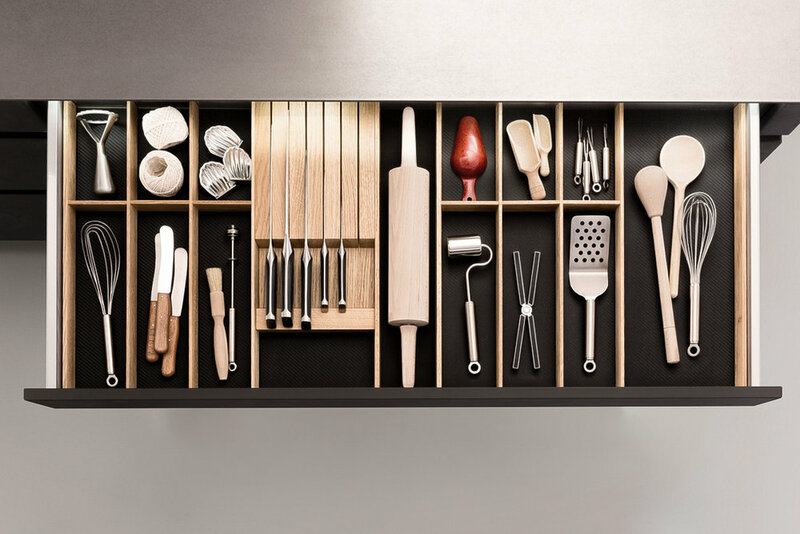 Classically modern with a top-quality appearance, the material combination consisting of light, solid oak with consistently shaped black inserts made of a hard-elastic, carbon-like synthetic material grooved into the cutlery drawers. 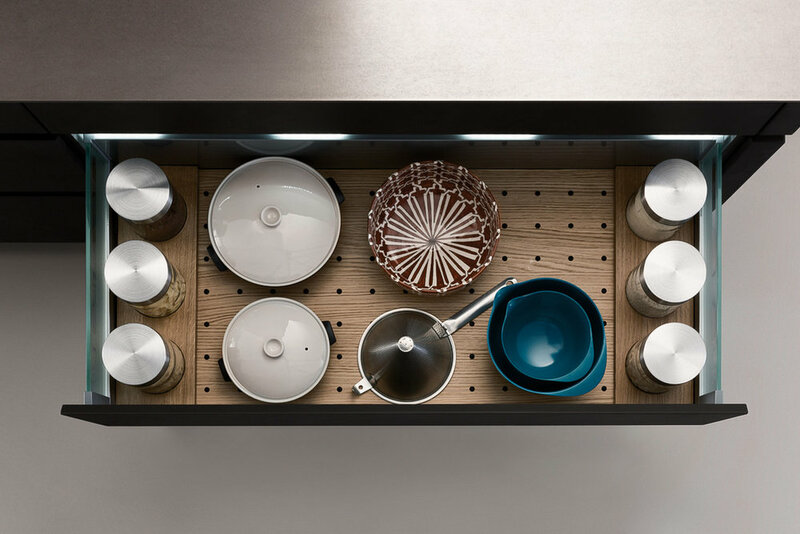 These can be removed and are thus easy to clean; they also soften noise and are slip-resistant.